The North American Bikeshare Association (NABSA) reports that there were 50,000 bike share bicycles in the U.S. as of 2016, an increase of 30,000 bikes since 2012. Those bikes made 28 million trips in 2016, a 25 percent increase over 2015, and as of 2017, more than 130 North American cities had bike share programs. A key tenet of bike share culture is the open sharing of data about ridership trends. The purpose of this is to provide transparency and remove barriers to other cities wanting to create bike share programs. “We are in a pivotal moment for bike share – one where technological advancements make bike share a more accessible form of transportation and easier to use than ever before.” said Executive Director of NABSA, Samantha Herr Tom Nutley, Head of Operations for Stage Intelligence, is on a mission to make bike sharing even more accessible by providing bike share programs with the power of Artificial Intelligence. 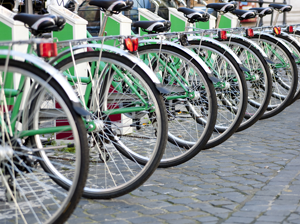 In a recent DATAVERSITY® interview, Nutley said the needs of three groups come into play when planning a bike share solution: The city, the users, and the program operator. “Each city is different, with hundreds of different parameters, such as the amount of public transport available, the number of train and bus stations, the weather, the topography,” he said. It’s important to consider all factors affecting transportation by bike, and understanding user needs can be a challenge. Users can be stranded when there are no bikes available, or can try to return a bike only to find all the docking stations full. Bike repairs can be an issue if the program operator is unaware of the bike’s condition. Lastly, any bike share program must be tailored to meet the goals and resources of the operator. Bike share ridership fluctuates based on external factors such as weather, events, and holidays, and Nutley said that redistribution of bicycles in response to those factors is 40-60 percent of the operations costs of running a bike share scheme. The need to keep bikes repaired and serviced is also a challenge, yet simply adding more bikes is not the solution. “In reality this does little to increase efficiency and often adds to the problem.” he said. 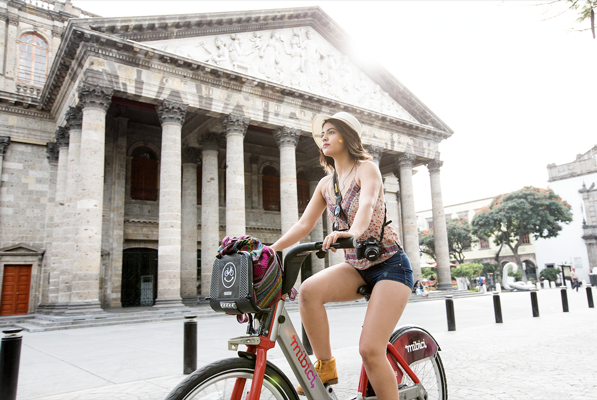 Building on these successes, Stage Intelligence wanted to explore new markets globally and so made a connection with BKT Bicipública in Guadalajara, finding that they also had been capturing raw data that could be used by the BICO platform. “We found that BICO was a perfect fit for BKT and the Mexican market,” he said. 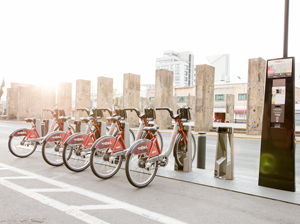 BICO uses data to meet the needs of cities, bike share operators and customers by providing access to a real-time understanding of customer experience. “Our BICO platform allows us to take a deep dive into individual bike share schemes in different cities and neighborhoods around the world and find ways to improve usability within them,” said Toni Kendall-Troughton, CEO at Stage Intelligence. According to the company, BICO uses Artificial Intelligence to give bike share operators the ability to accurately predict demand for bikes in real time. BICO can evaluate all the docking stations within an easy walking distance and communicate how many bikes are available to any customer at any given time. Drivers are dispatched to areas where bikes are needed via a mobile app so there is no lag between an emerging demand and the ability to meet that demand. This allows operators to respond to changing needs as well as scale and grow their operation based on accurate data. “Our platform collects a huge amount of data. We churn through petabytes of information within our systems on a daily basis.” This data feeds info to BICO’s AI software, which continually learns and evolves as a result. “The more data we collect, the better we are able to address the challenges in the industry. Bike share operators can’t be stuck with traditional, one-dimensional management processes. They need to be able to get real-time information and have the capability to react to changing demands,” said Nutley. As a result, BICO was designed to update every three minutes so operators are able to know where bikes are needed and manage dynamically in a rapidly changing environment. Although they collect a massive amount of data, Nutley said that a key selling point of the BICO platform is its simplicity and accessibility. BKT Bicipública manages more than 50,000 bicycles and 3900 docking stations, supporting 160 million trips across Latin America, according to the company. For over a decade, BKT Bicipública has been finding solutions for implementing public bicycle systems within cities, using the most robust technology available. BKT operates the MIBICI system in Guadalajara, its second largest scheme in Mexico, serving a population of over five million people. BICO enables cycles to be perfectly distributed across a city, enabling riders to find bikes and docking stations where and when they need them. This drives rider growth, repeat usage and the overall sustainability of bike share schemes, he said. “Rebalancing is one of our biggest challenges in the operation of the public bicycle system in Guadalajara. BICO has allowed us to take better advantage of our resources to improve our service, focusing our efforts on achieving user satisfaction,” said Noé Santana, Operation Manager at BKT Bicipública. Nutley said that the successful trial in Guadalajara paved the way for an expansion of the BICO platform across Mexico. Nutley commented there is an increasing demand for e-bike management, because there are greater challenges for programs that include powered cycles. Bike Share operators Limebike, Spin, Ford GoBikes and JUMP Bikes (formerly Social Bicycles) will be adding e-bikes to their programs, which marks a shift in the industry, he said. But there are limitations to the adoption of e-bikes due to the public perception that using a powered bike is ‘cheating,’ and the costs of purchase and repairs are much greater than in non-powered bikes. “E-bikes will need to be charged to ensure that it is ready to be used by the next rider. That requires seamless management of resources and expert understanding of the local market,” he said. Nutley predicts that the market for e-bikes will eventually be higher than pedal-powered bike sharing programs, “putting pressure on operators to deliver each and every time,” a situation tailor-made for AI.